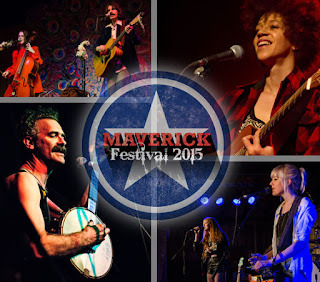 Anchored this year on the apt date of Saturday 4th July, the Maverick Festival once again re-convenes at Easton Farm Park in Suffolk to present a delightful diet of homespun and overseas country, roots and Americana music. Over the course of the weekend, which fits concisely between a Friday teatime start and a Sunday lunchtime finish, a wealth of bands, duos and solo performers will descend on this idyllic rural setting to showcase a style of music rich in lyrical excellence, authentic in instrument utilisation and dedicated to a cause running deep through the passing of time. Long trips to this festival pre-date the life of the blog which has enthusiastically supported the event via both reviews and previews since 2012. As many of the artists appearing this year have featured several times over on the blog, it was decided to base this year's preview on re-living past articles which hopefully will go a long way to highlight what talent is on offer. In all, seventeen of this year's performers have had either an album or gig reviewed, both in quite a few cases, so feel free to access the links and share the positive words designed to promote artists often shunned by the mainstream. Among artists appearing Friday night in the Barn are The Black Feathers, Miriam Jones and Larkin Poe.The Black Feathers also appear in the Peacock Cafe on Saturday. Among artists appearing Friday night in the Peacock Cafe as part of the Clubhouse Records curated evening are Paul McClure, Emma Swift, Simon Stanley Ward, Don Gallardo and The Dreaming Spires. Don Gallardo also appears in the Barn on Saturday. Among artists appearing Saturday on the Green are Hannah Aldridge as part of Alabama Sweethearts, Bob Collum and the Welfare Mothers, Luke Tuchscherer and the Penny Dreadfuls and Benjamin Folk Thomas. Hannah Aldridge also appears on the Moonshine Stage. Among artists appearing Saturday in the Barn are The Alan Tyler Show, Chastity Brown and Billy Bragg. The Alan Tyler Show also appear in the Barn on Sunday. All these artists get a full blessing of approval and although scheduling may limit catching them all, whichever choice is made will be time well spent. In addition to this list of previously reviewed artists, Case Hardin join the Clubhouse jamboree on Friday evening, while Lewis and Leigh appear in the Barn on the same night. Both artists have yet to be featured in the blog, so two inappropriate omissions will soon be rectified. Of course there are many other scheduled guests, of which a few will no doubt be subject to a review in the future. So it's definitely advantageous to access the festival's website for the full line up, schedule and timings. 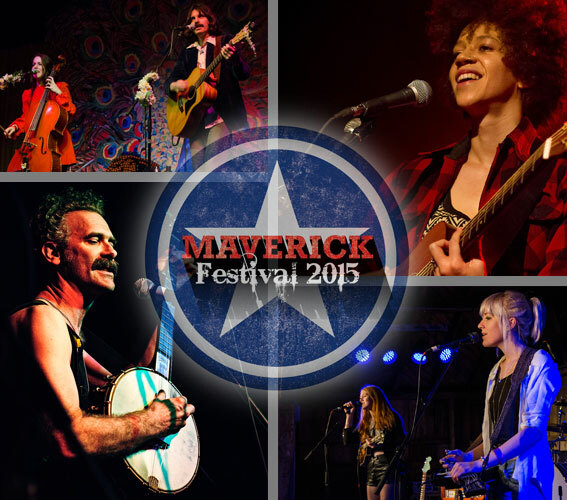 Over the past few years, the Maverick Festival has become an established date in the calendar and this small but beautifully ambient event is a guaranteed weekend of everything you require from a cost effective musical gathering. With an intuitive nod to the quality artists on offer, the sun usually graces the festival with its presence and repeated praise from many quarters leads to hoards of return visitors. 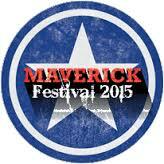 This festival is wholeheartedly recommended and any decision to attend will be rewarded with a memorable experience.